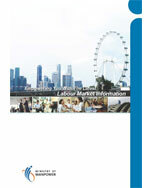 This report analyses the general employment conditions and workplace practices in Singapore, specifically flexible work arrangements, leave entitlements, work-week pattern and sickness absenteeism. It also includes a study on the impact of various workplace practices on staff turnover. Key findings:More employers are providing flexible work arrangements on both formal and ad-hoc basis. More firms have also been progressive in their provision of annual leave entitlement and work-week pattern. In 2018, majority of firms continued to provide leave benefits beyond mandatory requirements, in particular marriage leave and family care leave. Article: A More Flexible Singapore! What is FWA and how can employees be encouraged to take it up?